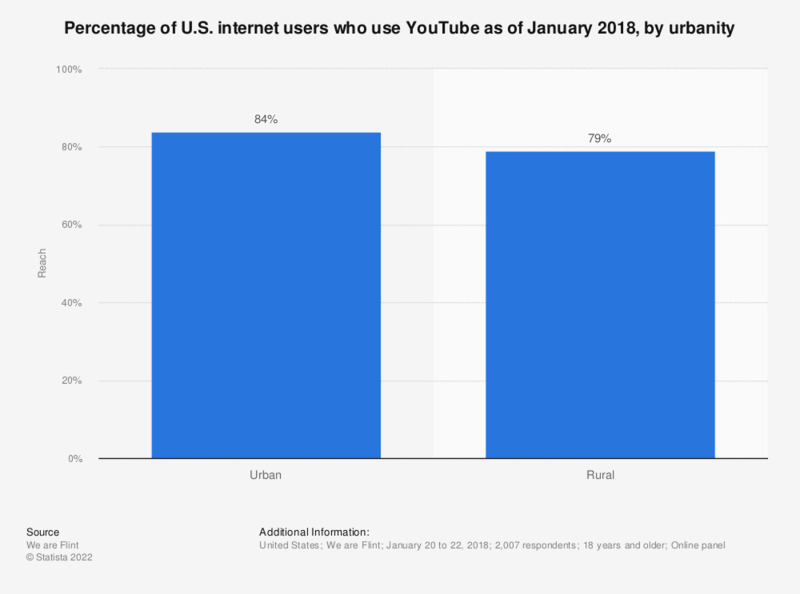 This statistic shows the share of internet users in the United States who were using YouTube as of January 2018, sorted by urbanity. We Are Flint found that 84 percent of internet users residing in urban areas used the video-sharing website. Would you consider watching a sitcom or other scripted TV series on YouTube?